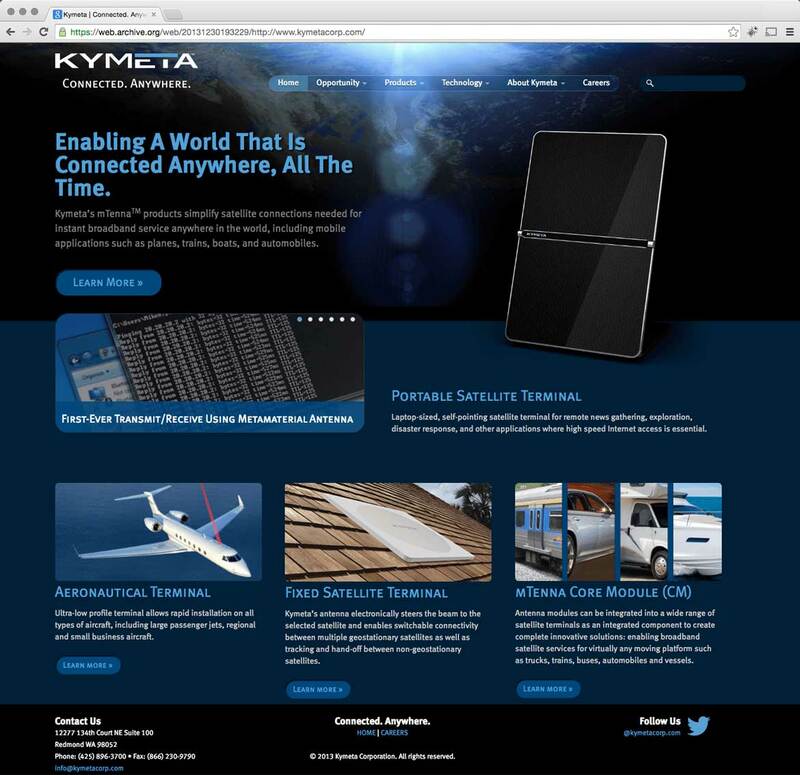 Legacy website for Kymeta. Kymeta is a metamaterials startup spun off from Intellectual Ventures, specializing in flat-panel beam-steering antennas for satellite communications. From initial funding of the startup, I created their branding guide and website, and all online and offline marketing communications materials to reflect their position as a technology innovator. Other projects included trade show booth graphics, video animation, branded merchandise, 3D image rendering and embedded UI design.